For anyone that still thinks that street art has a detrimental impact on the look and feel of an urban environment, it’s time to start re-thinking that philosophy. Street art is undoubtedly playing an integral role throughout the world in helping local communities display their creativity and depicting an untold story of the city that perhaps would never have been given an opportunity to be shared previously. 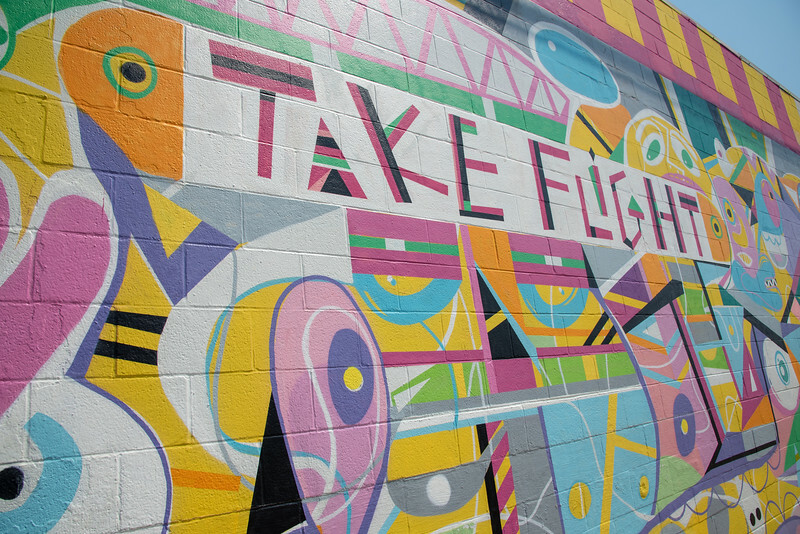 Nashville is one of many US cities that have seen major benefits out of the thriving street art philosophy that is present throughout Music City. 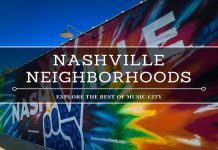 After reading this post, we are convinced that you will be raring to explore the best Nashville murals and your appreciation of street art will be much greater. 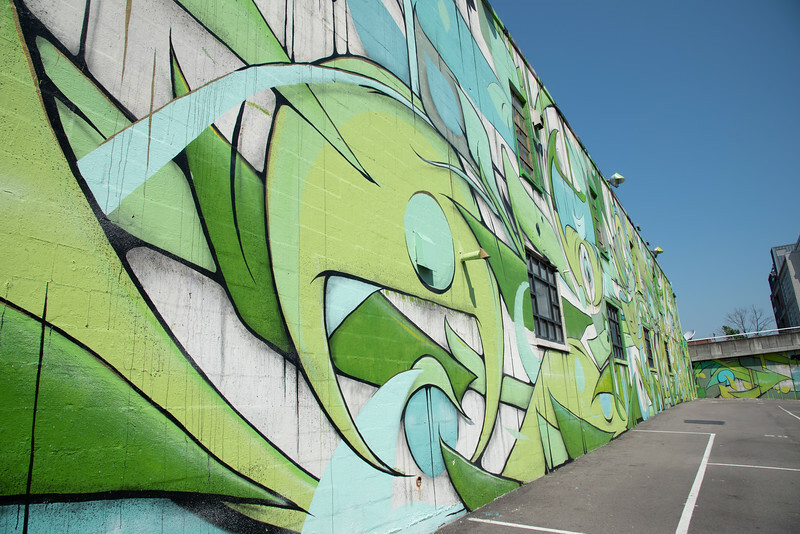 We have been fortunate to explore some of the best street art examples around the United States. 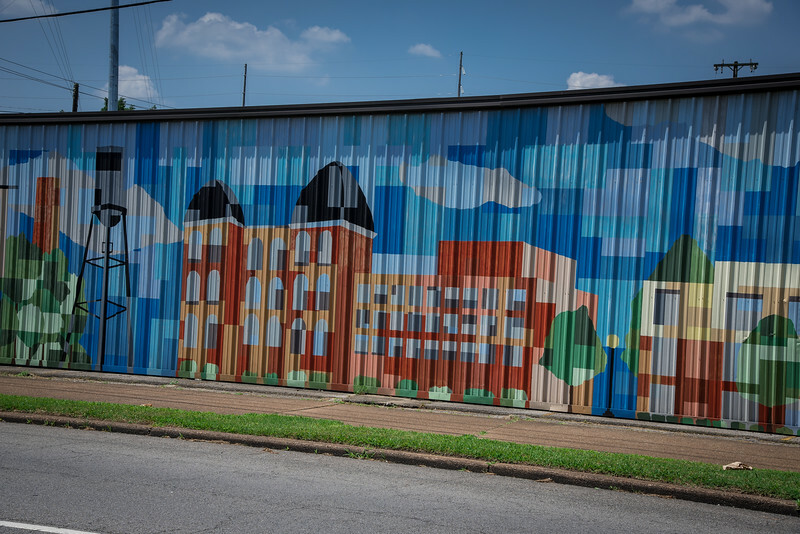 Memphis street art is something that we are passionate about, simply because of the way this city has so much rich culture and history embedded into the local artistry. 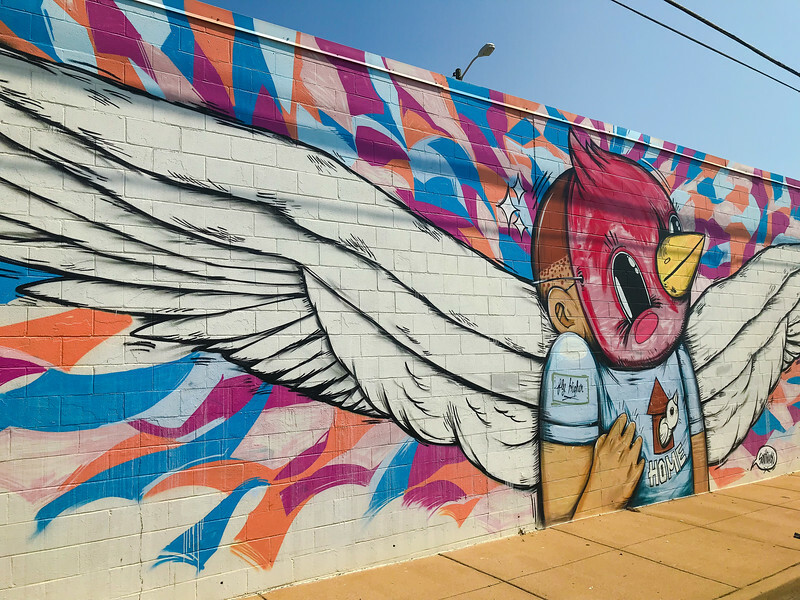 From the civil rights movement to thriving neighborhoods, Memphis is the perfect example of a city that has utilized street art to its benefit. 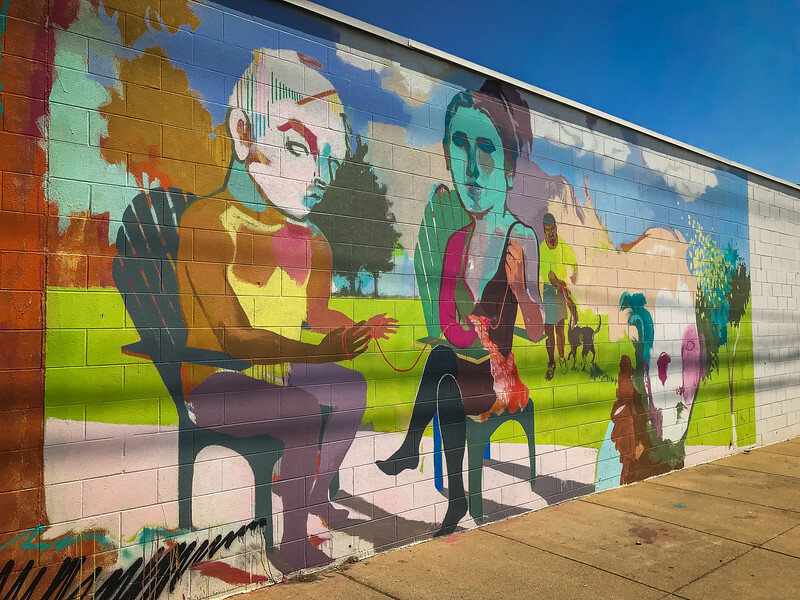 The best street art in Atlanta is another perfect example of a city that has gone through many traumatic years yet some of the best street art murals can be found in neighborhoods that were once renowned as spots visitors would never want to experience. 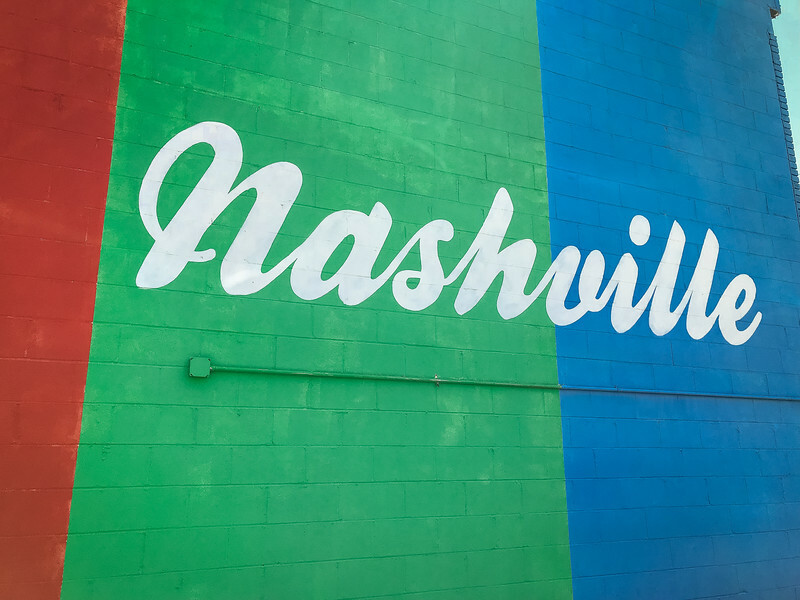 Given that Nashville is really a “home away from home” city for us, we felt it was time to head “off the beaten path” so to speak and start seeing how local artists envision their city and portray this through their works of art! 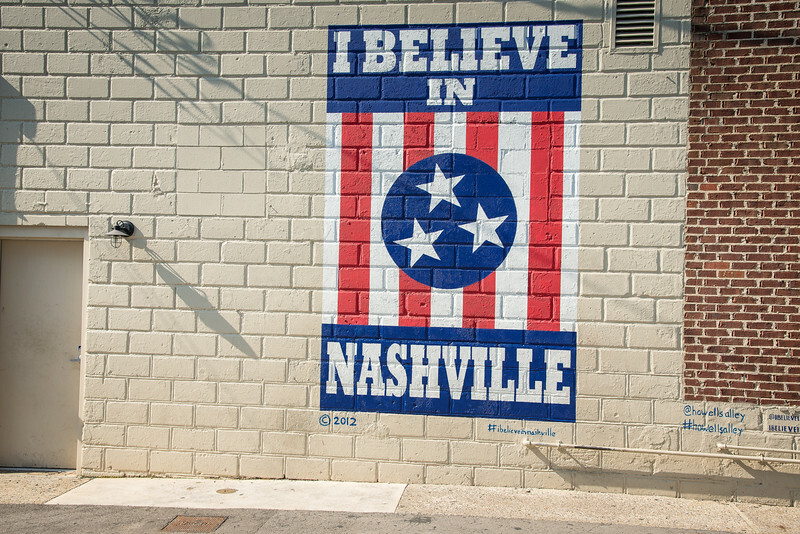 Where to Find the Best Nashville Murals? 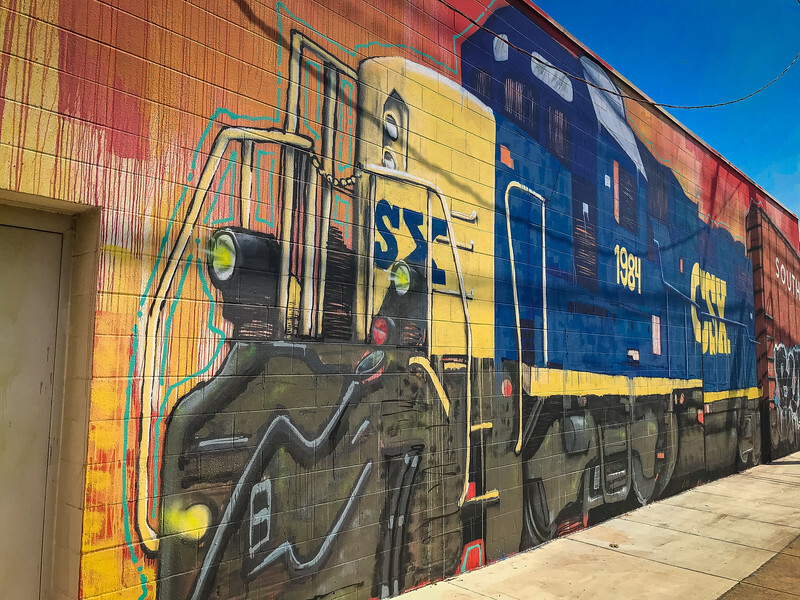 Whether you are an avid art critic or simply want to enjoy local creativity, there is no doubt that street art plays a dynamic role in highlighting some of the lesser known neighborhoods throughout a city. It’s fair to say that most folks visiting a city for the first time will likely head to the iconic tourist attractions. Nashville is no different! The Grand Ole Opry, Broadway, the Parthenon et al. are all examples of attractions that you cannot afford to miss. But what about those hidden gems that are frequently forgotten? Street art is one of the best ways to lure visitors to these neighborhoods because not only will folks enjoy admiring the majestic masterpieces, they will also have the opportunity to explore other features that will likely attract their attention…they certainly did for us! 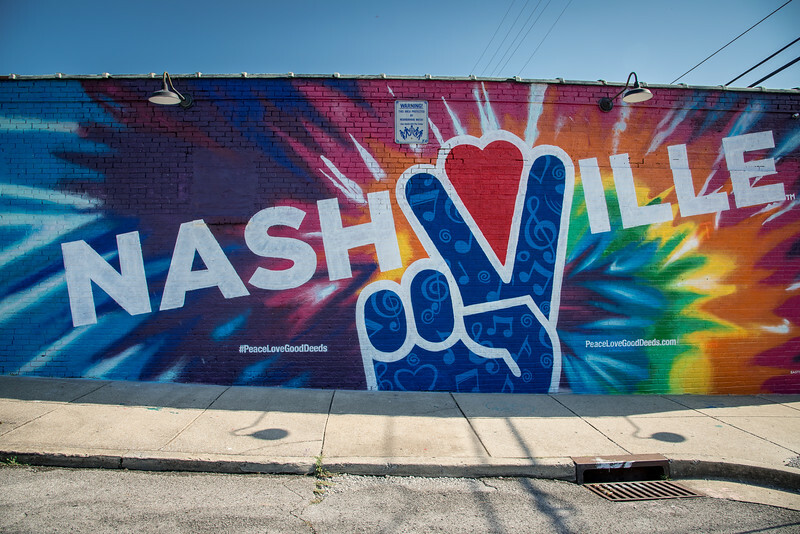 In 2016, Nashville started their “Nashville Walls Projects” where iconic street artists from across the globe landed in Music City to set about inspiring local artists to create their personalized pieces. 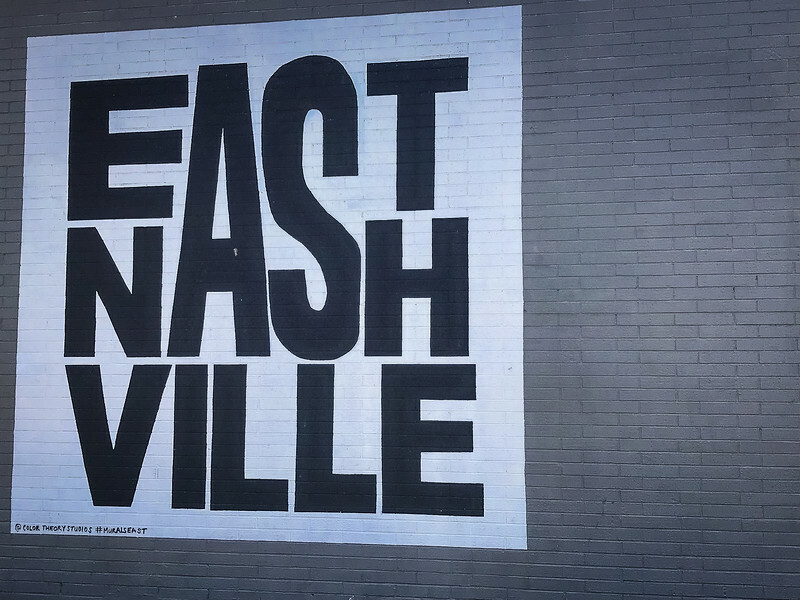 As you follow our journey around the eclectic collection of neighborhoods in Nashville, I am sure you will agree that Music City is now well and truly on the street art map! 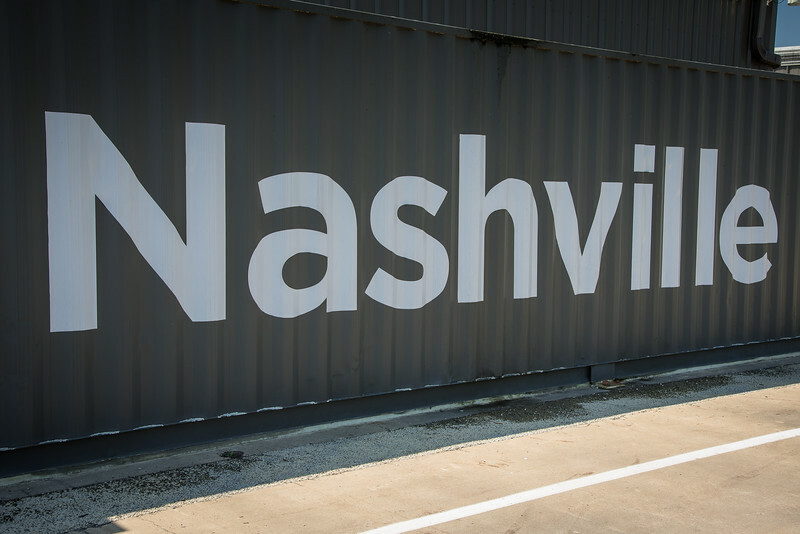 I am going to be perfectly honest, during our recent trip to Nashville we saw a whole new side to this city and what we saw…we LOVED!! It’s actually sad to think that we fell into the trap along with many others of not actually seeing some of Nashville’s best neighborhoods. All too often you allow yourselves to be influenced by norms and the unfortunate reality is that many of these lesser-known gems are frequently missed. 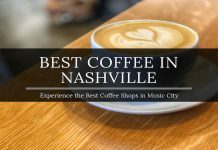 We are now inspired to share these with you and “hopefully” convince you to NOT follow our initial philosophy and instead, even if you are visiting Nashville for the first time, to add these to your upcoming itinerary. You won’t regret it! 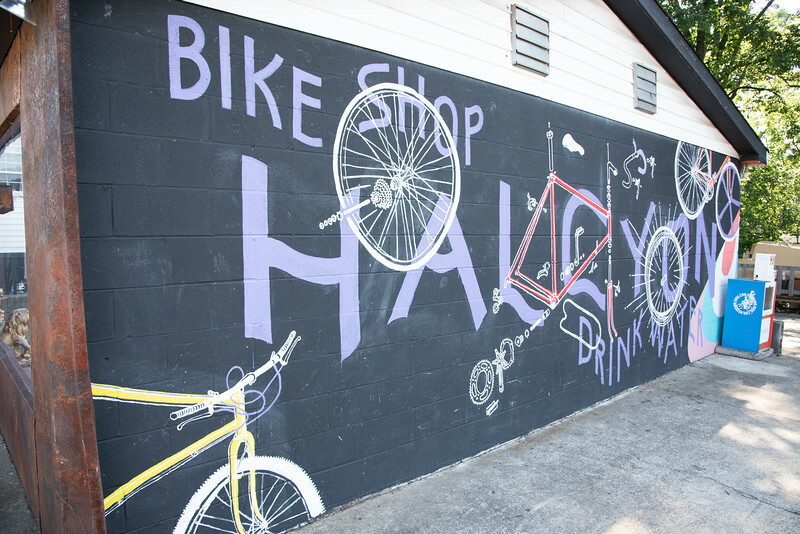 Let’s take a look at some of the best neighborhoods in Nashville to experience this eclectic blend of distinctive street art. 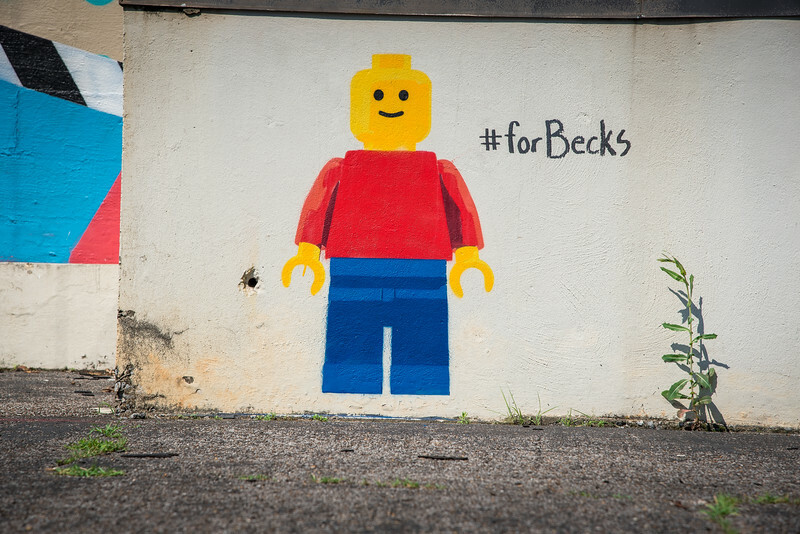 Let’s start with perhaps the most iconic example of street art around Nashville. Whether you agree with this being the most creative and unique, it’s difficult to argue that there are many others that are more popular. 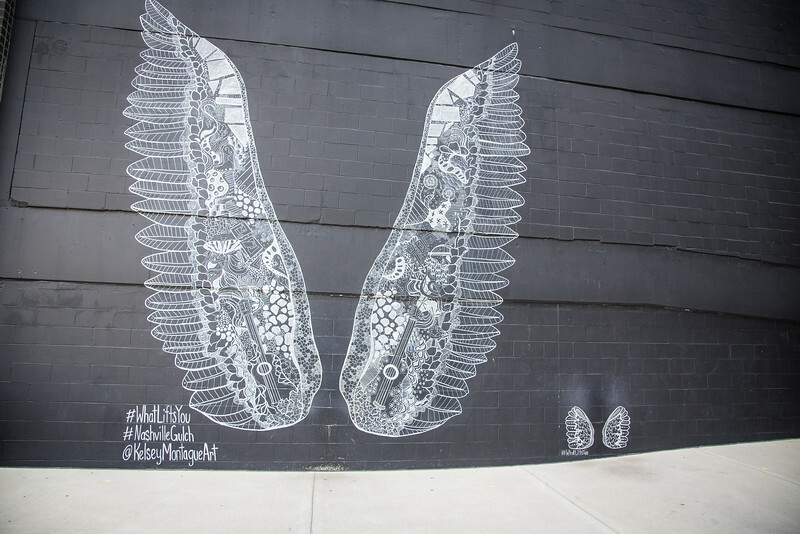 The “What Lifts You Wings” known locally as the “Wings Mural” is a masterpiece created by Kelsey Montague located in The Gulch neighborhood, one of Nashville’s coolest up and coming communities. The Wings are 20-feet tall and unsurprisingly attract visitors from across the globe to form a line as they prepare to capture the perfect picture. Once a thriving industrial location, The Gulch has been transformed into a trendy hotspot of bars, restaurants and of course, street art! But the Wings are not the only example of street art in this neighborhood. 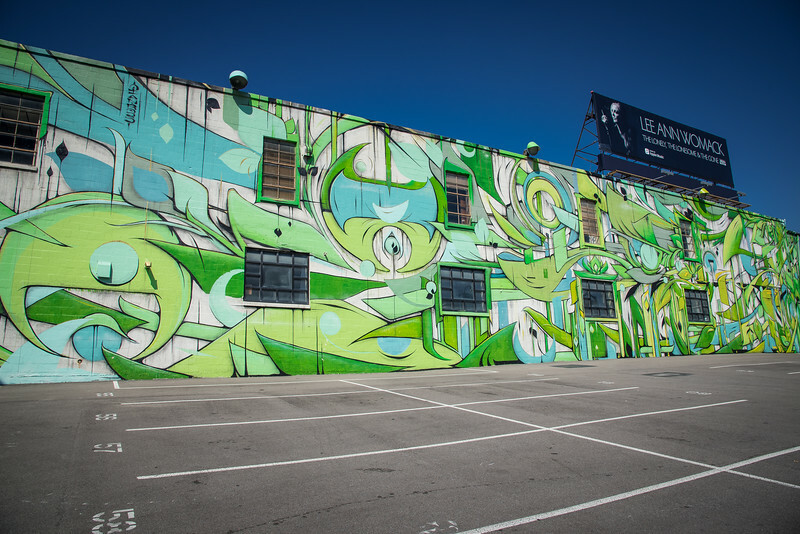 The Nashville Walls Project that I referenced earlier saw The Gulch as the perfect community to introduce global street artists with their local counterparts and create a couple of huge murals that epitomize the vibrant colors adopted throughout Nashville. 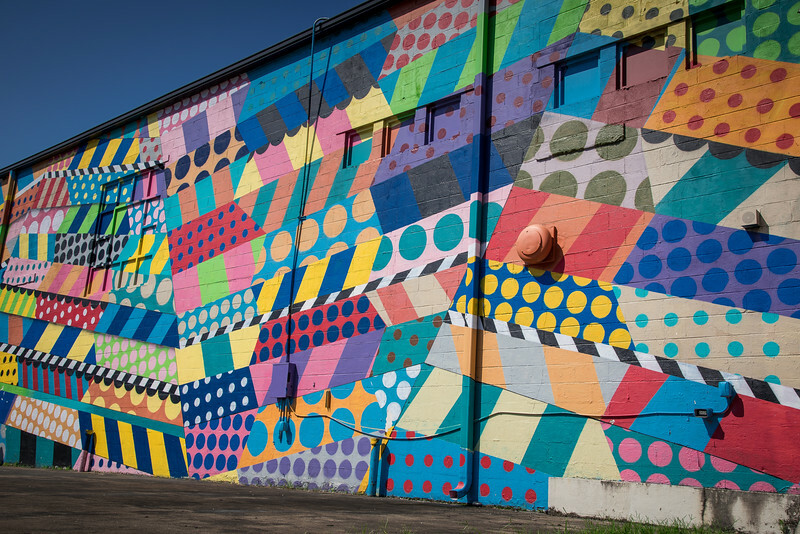 As we continue our adventure around Nashville’s street art scene, you will see that these color schemes can be found in every neighborhood. For the “foodies” out there, you may well know that Nashville’s 12South neighborhood is one of the most popular culinary scenes throughout the city. The neighborhood is named after “12th Avenue South” which is the heart and soul of this area. 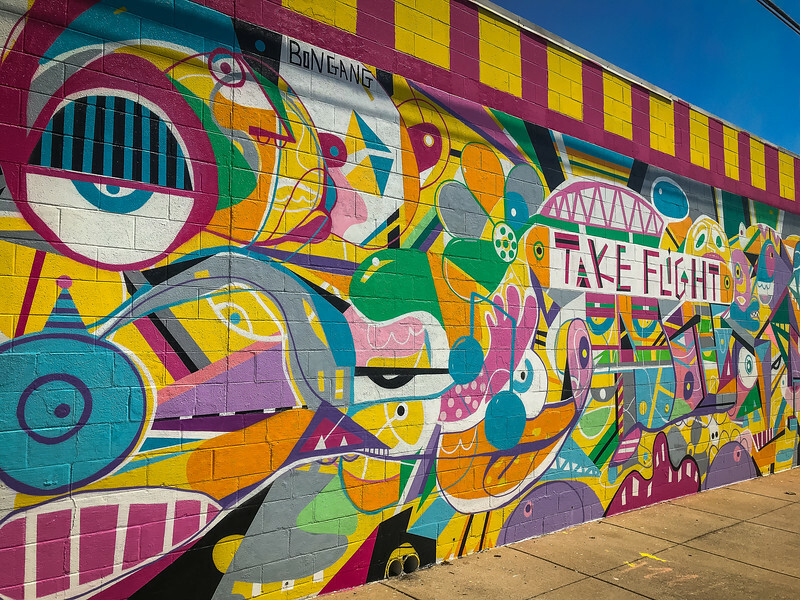 Although you may be tempted to allow the diverse collection of dining options to sway your attention, the street art scene is definitely not something you can afford to miss. Why not park your vehicle in the parking lot at Sevier Park and take a leisurely stroll through this urban greenspace before exploring the best of 12South’s artistic flair? 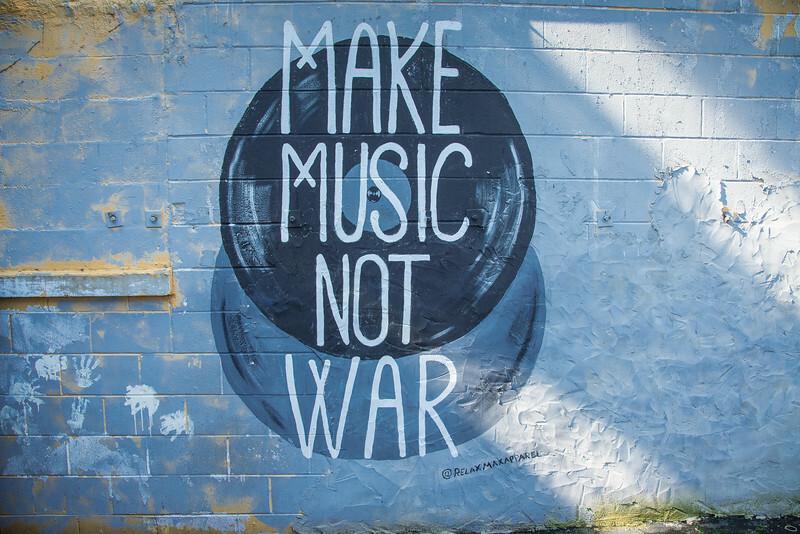 The “Make Music Not War” mural will likely be the first one that you stumble across, directly opposite a floral collection that will surely put you in a positive mood for the rest of the day. 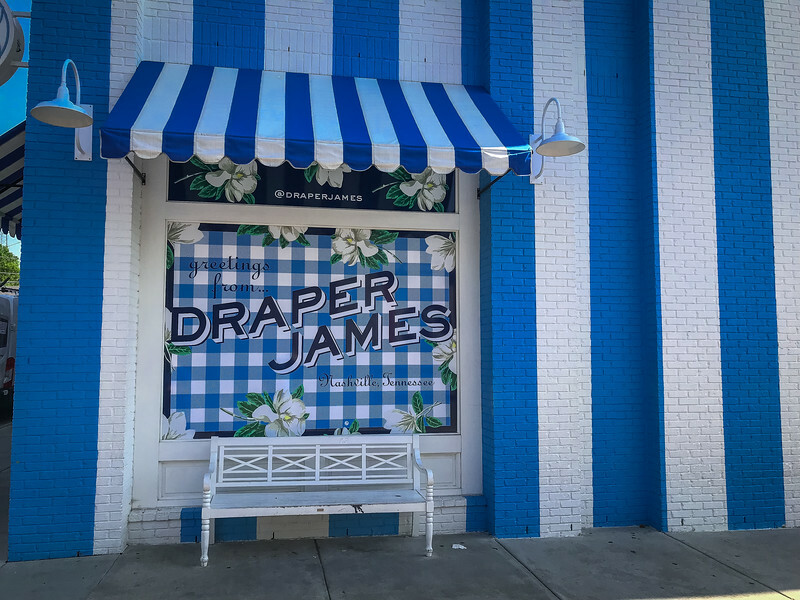 Reese Witherspoon’s Draper James store is not only a spot for visitors to enjoy a little retail therapy as the blue and white decor is the perfect backdrop for creative photo ops. In the alley by Draper James is an artistic “I Believe in Nashville” mural while just a short walk along 12th Avenue back towards Sevier Park on the opposite side offers a “Nashville at Heart” rainbow design. Head across the Cumberland River to East Nashville and you could be forgiven for thinking that this is yet another neighborhood that perhaps wouldn’t be too enticing to visitors. However, this is far from the truth and there are several spots in East Nashville that will immediately attract your attention, none more so than the areas along Gallatin Avenue, Five Points and the Shoppes at Fatherland. 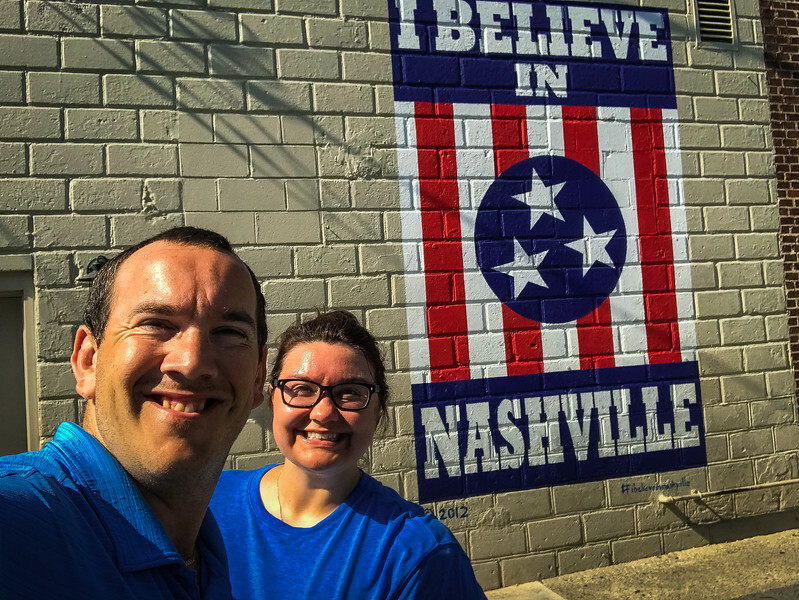 For Heather and I, we stumbled across a mural that immediately jumped to the very top of not only our favorites in Nashville but perhaps anywhere in the world. 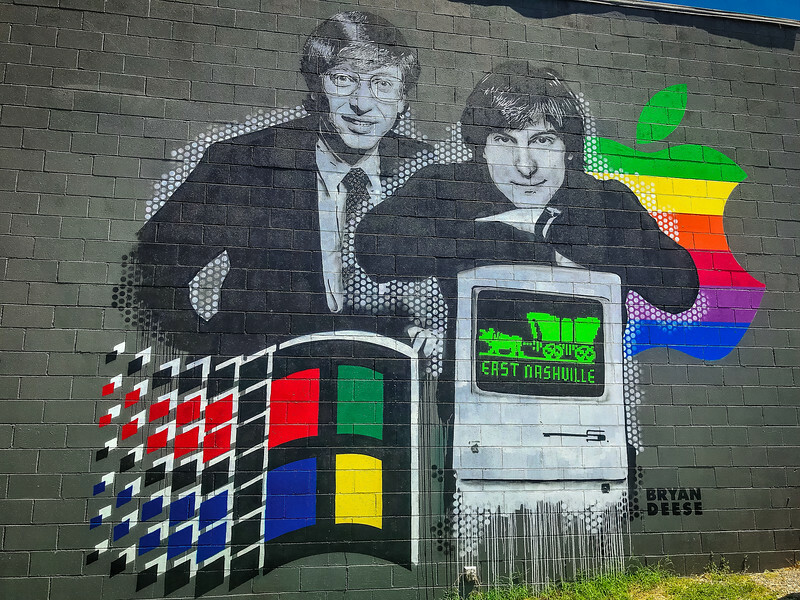 The depiction of Microsoft’s Bill Gates and Apple’s former CEO, Steve Jobs, is perfect for “tech lovers” but if you are not all that enamored by the sight of the original Macintosh or Windows 3.1 operating system, there are plenty of other murals that will capture your attention. East Nashville street art is honestly best explored by car, simply because there is a large area to cover and to try and attempt all of this on foot is a pretty tall order. After crossing the Cumberland River, take your time down Main Street before taking Gallatin Avenue and you will likely stumble across some other gems that we missed. Don’t forget to share all of your favorites in the comments below because as you know, street art is constantly changing and as soon as this post goes live, there will likely be something new out there. The relaxing environment of Hillsboro Village is famous for being home to Nashville’s best breakfast spot – the Pancake Pantry! Because of this iconic location, it’s an incredibly popular neighborhood and although there is an eclectic blend of restaurants, coffee shops, and local boutique establishments, it’s the street art that we were most enamored by. 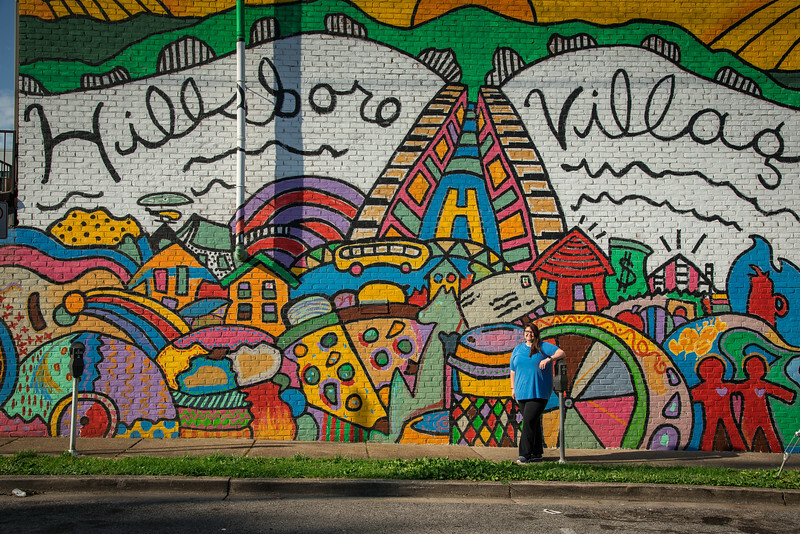 The large Hillsboro Village murals are a friendly and vibrant welcome to the neighborhood. 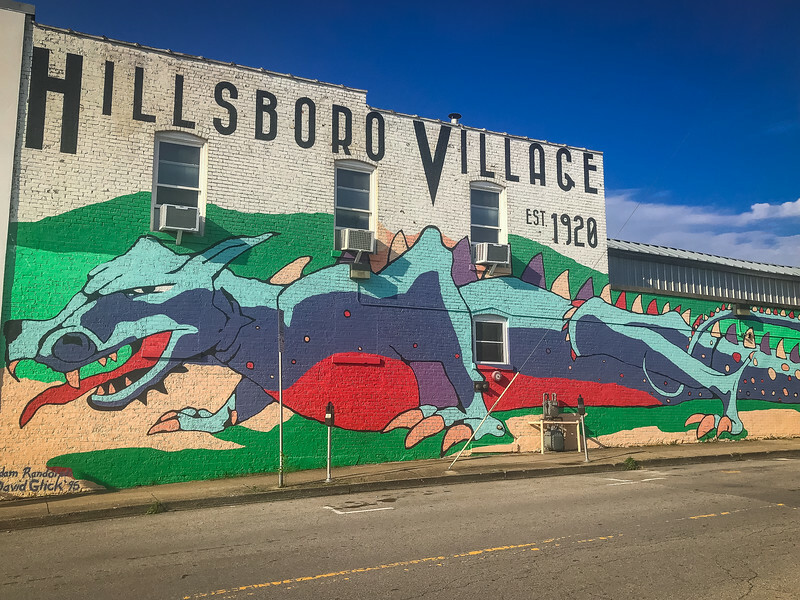 The dragon mural is another of Nashville’s finest examples of street art but it’s the friendly feel throughout this neighborhood that attracts so many visitors. 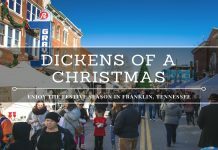 We recommend getting to Hillsboro Village early and taking advantage of the parking lot behind the Pancake Pantry, otherwise, you will be fighting with plenty of other locals and visitors alike to try and find a spot along the street which is very limited. Perhaps the most symbolic of all the street art throughout Nashville can be found in the Germantown neighborhood, just a short drive from iconic attractions such as the Tennessee State Capitol and Bicentennial Mall. 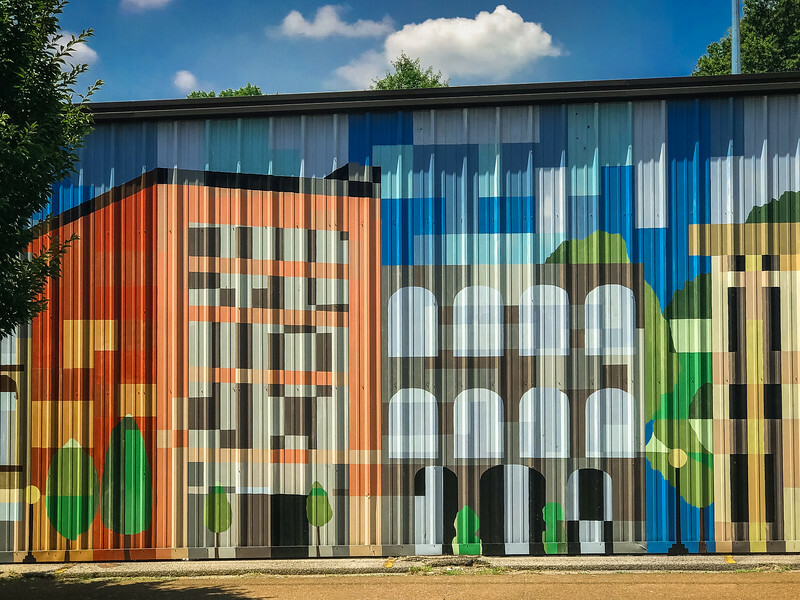 The “Nashville Scenes” depict the story of Nashville in a series of murals painted on the metal walls of the buildings that line Rosa Parks Boulevard. We parked outside Werthan Lofts which is a perfect location to cross Rosa Parks Boulevard and admire the infamous scenes we associate with Music City. Don’t forget to walk around the corner along Taylor Street to see the scene of the nearby Bicentennial Mall. 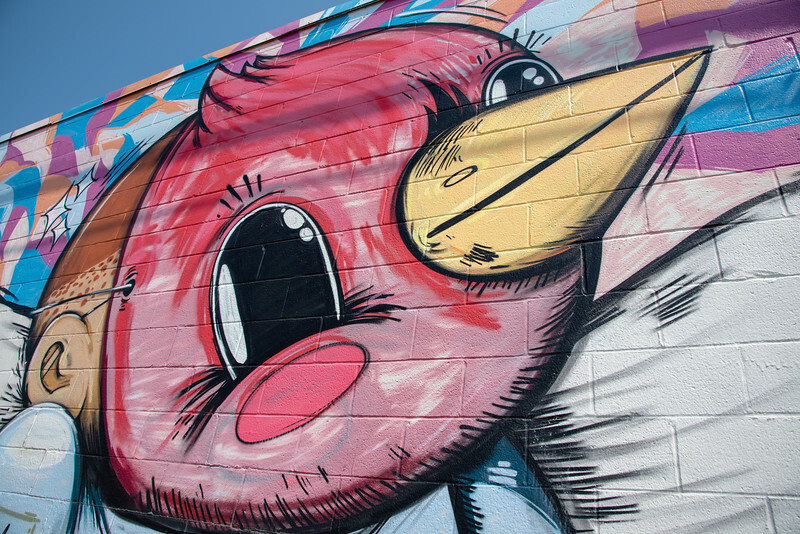 If you are looking for an area of Nashville where there is a whole bunch of street art in a small stretch, look no further than Charlotte Avenue. Park your vehicle in the AVO restaurant parking lot (next to the fitness center) and be careful crossing Charlotte Avenue to admire the incredible street art. 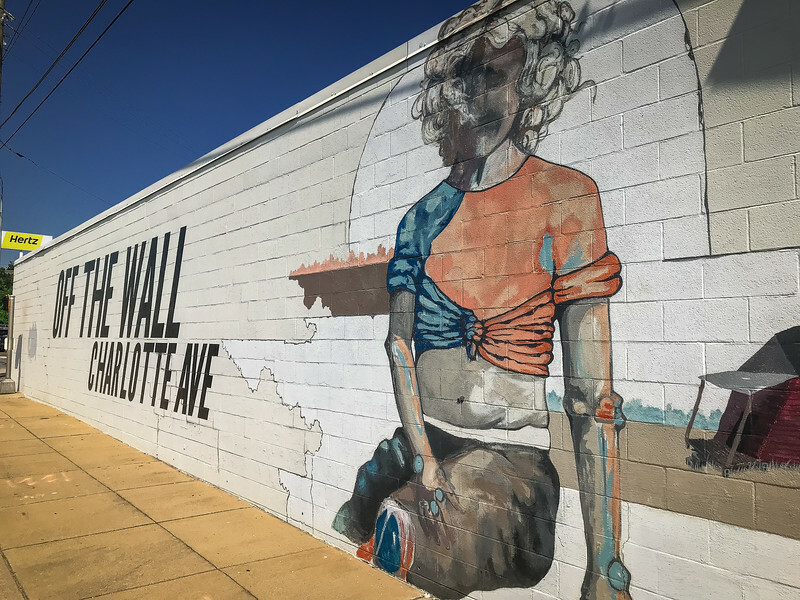 The collection of murals along Charlotte Avenue was created by the “Off The Wall” project when the decision was made to take advantage of the 1000-foot concrete wall that stretches along this corridor. As you stand along Charlotte Avenue admiring the undoubted creativity of the designs, it’s difficult to resist appreciating the fact that Nashville truly has a “world-class outdoor urban contemporary art” display in a plethora of areas. Just like many people associate music with bringing people together, I believe that art has the same effect and Nashville epitomizes the way in which this can have a positive impact on local communities. 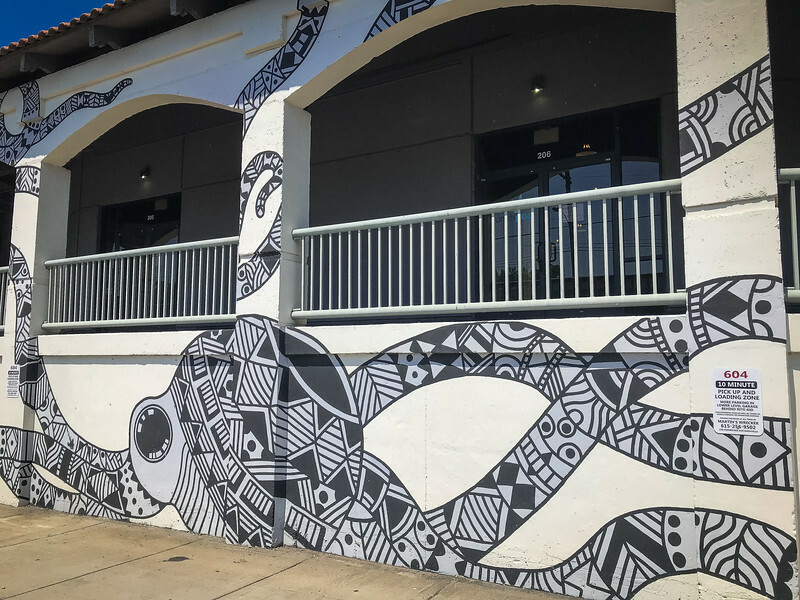 We barely touched the surface with the myriad of murals on display throughout Nashville and we were talking with our friend Ashley from A Southern Gypsy who resides in Music City because she is looking at putting together a full list of all street art locations around the city. As she correctly noted, it’s an incredibly daunting prospect because there are so many new murals being created every week. The reality though is that this is a good thing because it helps foster local creativity and collectively creates a better city for everyone to appreciate. Nashville’s eclectic street art scene is one that I think everyone will appreciate. 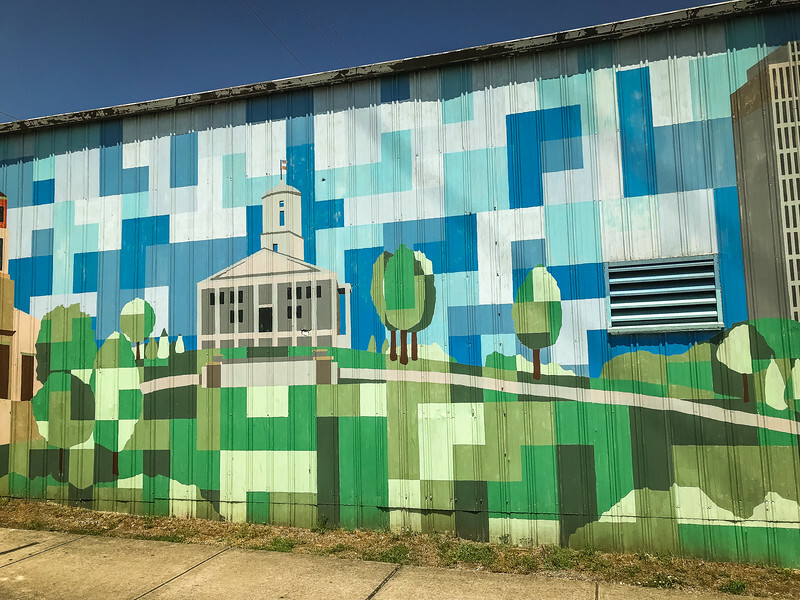 From tech lovers to country music aficionados, you can be sure that there is a mural somewhere that will immediately capture your imagination. How fun! When I think of street art, I don’t necessarily think of Nashville. 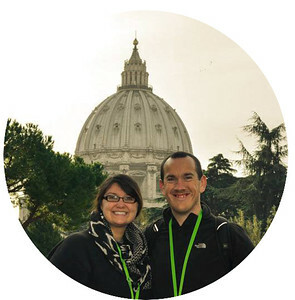 Between the art, food, and music, it seems like a great city to visit.